Photo in William Champion's Guest Book, published in The Gazette. I grew up in Delhi, a small farming town in California’s central valley. Many of the older residents moved to Delhi during the dust bowl era from the old “Wild West” states of Oklahoma , Texas, and Kansas. And maybe that’s part of the reason all of the farmers in town wore cowboy hats and boots. Some people think of guns, wild horses, and outlaws when they think of cowboys. 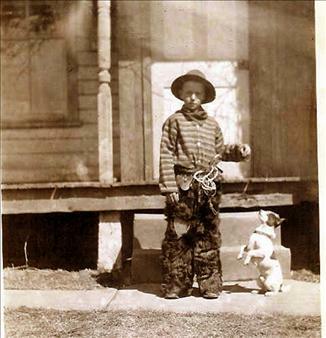 But in my childhood, cowboys were people who offered welcoming smiles, fresh produce and delicious jam, and warm hugs.